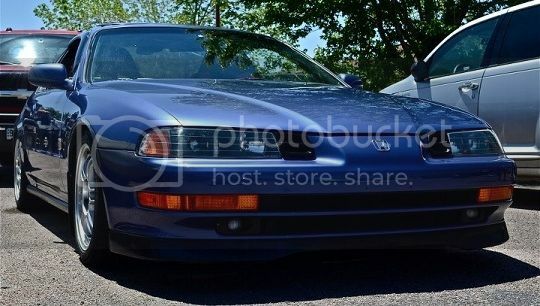 So im planning on redoing my entire appearance on my 2000 prelude including paint, headlights/foglights, and rims. However, these cost over $700 each and I don't see myself spending that much on wheels for a DD. A track performing car maybe, but a DD, not so much. I know there will be a perfromance decrease in the replicas, but I want to know if the quality difference is worth the discount. Example, a rolex watch costs $5000 and is great quality. A replica still costs around $200-300 but it is a piece of crap and if your gonna spend $300 you can get a much better product. So are these still good rims for $180 each? or are replicas known as pieces of crap? If they are good quality just heavier, thats ok. Also, how would you think it would be to maybe add some legit volk center caps on...? Yeah, im with you. After a bit of research ive realized they are not the same thing. Not even that close (quite a bit thinner). I might just spend the money and get the real things. 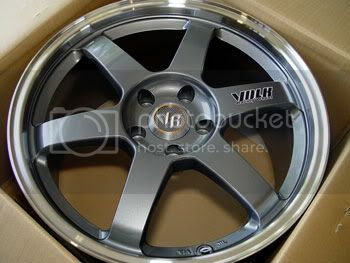 we'll see, but I can't find them anywhere in gunmetal with a machined lip. I found a set (those colors) on craigs list here for 1500, 1 with a little curb rash. However the bolt pattern is 5X112 instead of 5x114 like our cars are. Do you know anything about adapters and how reliable they are? who spends just 1500 on track wheels? .... you havent seen how expensive like a set of like bbs wheel are, have you..
1500 for a set of true on track wheels isnt a whole lot.. There's a difference in a BUNCH of ways. Here's a few for example ; The Quality in metal which means they are alot stronger.Durability is another factor better quality in FINISH & Fitment.Don't learn the hard way,ive own rotas,drags ext..... had them on a daily i once had & every time i looked at my wheels id see a bend mean while i don't remember hitting a really bad / hard bump i mean do what you feel.Im just saying it won't be me buying them Rep wheels LOL. I have Roto Slipstreams on my car...atleast I did until my buddy pointed out his friend had a set of real roto slips on his car and mine...well mine are not real. They do look the same and the center emblem is real, but the replica is a bit thinner and it has a lip around the edge that true roto slips don't have. Wait a sec...you're saying you have replica Rotas...?